Photo: Insect trapped in amber. 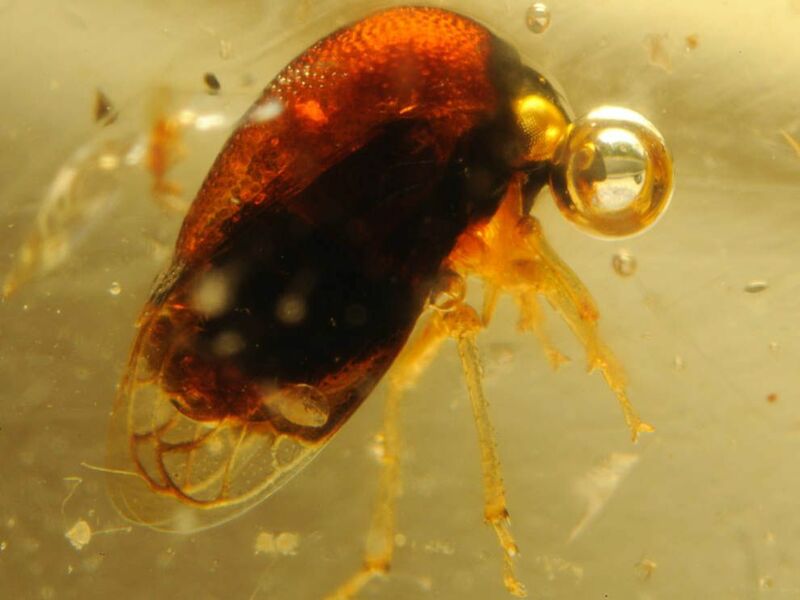 This insect was trapped in amber, or "fossil resin," about 50 million years ago. Because amber is such an excellent preservative, paleontologists can study such delicate features as the animal's wings and eyes.